Have a question? Let’s talk! By phone, email, or through this site, contact is always low key and spam-free! Fastest way to connect is by phone 937-478-7781 and unless I’m with a client or driving, I’ll pick up the phone right away. If I cannot answer the phone, I encourage you to leave a detailed message. Leaving a detailed message allows me to make our time on the phone as productive as possible for you and don’t forget to let me know when it’s the best time to call you back!  Email works too- Teri@TheBrickRanch.com I won’t spam you, and I won’t sell or give away any of your information- ever! MyDaytonMLS– Search for homes the way Realtors do.